-if you copy from somebody during a test? -if you break the rules of a game? -if you pretend something is yours when it isn’t? 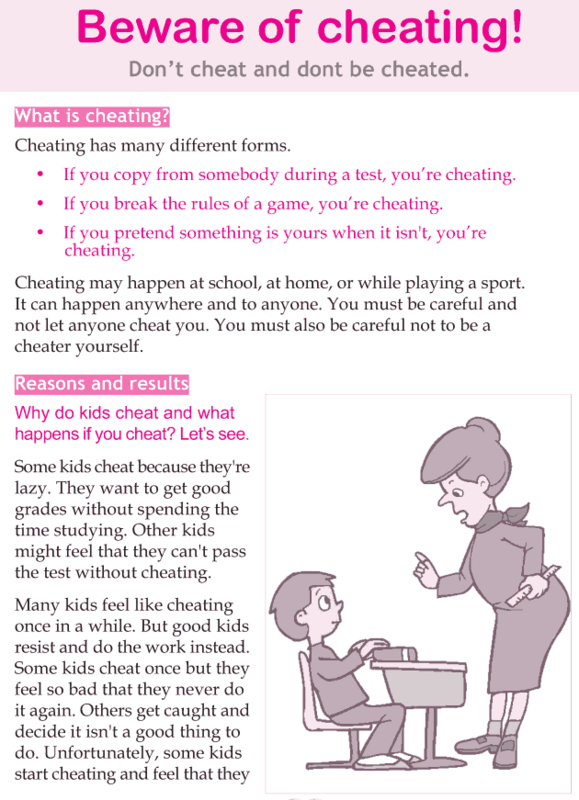 Here are some ways to avoid cheating and being cheated.